Very little is known about the distribution of mutational effects on organismal fitness, despite the fundamental importance of this information for the study of evolution. 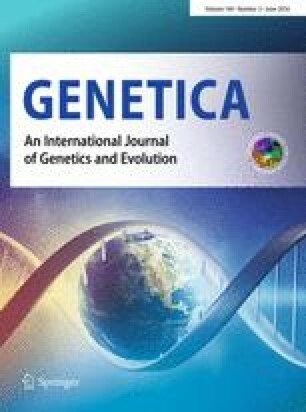 This lack of information reflects the fact that it is generally difficult to quantify the dynamic effects of mutation and natural selection using only static distributions of allele frequencies. In this study, we took a direct approach to measuring the effects of mutations on fitness. We used transposon-mutagenesis to create 226 mutant clones of Escherichia coli. Each mutant clone carried a single random insertion of a derivative of Tn 10. All 226 mutants were independently derived from the same progenitor clone, which was obtained from a population that had evolved in a constant laboratory environment for 10,000 generations. We then performed competition experiments to measure the effect of each mutation on fitness relative to a common competitor. At least 80% of the mutations had a significant negative effect on fitness, whereas none of the mutations had a significant positive effect. The mutations reduced fitness by about 3%, on average, but the distribution of fitness effects was highly skewed and had a long, flat tail. A compound distribution, which includes both gamma and uniform components, provided an excellent fit to the observed fitness values.